What an amazing and historic week just transpired. Monday, the nation marked Women’s Equality Day with the commemoration of the passage 93 years ago of the 19th Amendment to the Constitution granting women the right to vote. It’s hard to believe today that women’s enfranchisement didn’t occur until the early part of the 20th century. 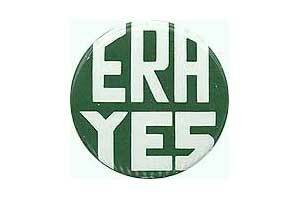 The next significant piece of legislation to expand on women’s basic right to vote didn’t occur until 52 years later when Congress passed the Equal Rights Amendment. We can thank the indomitable and irrepressible New York Representative Bella Abzug for championing this amendment. Astonishingly, the ERA never became law because it wasn’t ratified by the required number of states by the 10-year deadline. New York Congresswoman Carolyn Maloney, among other women leaders, celebrated Women’s Equality Day this week with the re-introduction of the Equal Rights Amendment. Here at home, State Senate Democratic leader Andrea Stewart-Cousins – the first woman to lead any conference in the New York State Senate – commemorated the passage of the 19th Amendment with a public reminder to New Yorkers that, unlike the Assembly, the Senate has yet to pass the 10-point Women’s Equality Act. Despite consensus on both sides of the aisle for the nine points relating to pay equity, workplace accommodation for pregnant women, domestic violence and human trafficking, the Republican conference refused to bring the WEA to the floor for a vote due to opposition to the reproductive rights provision which Stewart-Cousins had previously sponsored as the stand alone Reproductive Rights Act. Vowing to continue the fight for all 10-points in the WEA, Senator Stewart-Cousins found herself later this week possibly facing former Assembly Member Richard Brodsky in a primary next time. The loss of federal stimulus money, the deep budget cuts in Washington that are unraveling vital safety net programs such as SNAP, and the pressure on states and cities to cut their budgets have created a crisis for low-income and working families. This calamity disproportionately affects women and children. 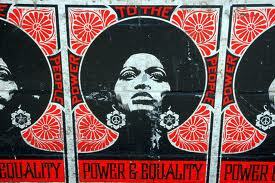 For women, people of color, the poor and working people to achieve social and economic justice and full equality requires a long term commitment of Americans’ time, energy, intellect and passion rather than one day of commemoration.